The club is officers and staff of the Metropolitan Police Service. We also have an associate membership category and welcome affiliated yacht clubs, other Police Forces & Emergency Services, along with their family and friends. Please go to the Join now page for full details and eligibility. The club owns three 34 ft. Hallberg Rassy Yachts which are equipped to a high standard and are fully coded under the MCA. They are all available for private charter to club members at extremely reasonable prices. Where members don’t have the necessary qualifications, we can often provide skippered charters. The club is recognised by the Royal Yachting Association (RYA) to run sailing practical and shore based theory courses at every level enabling members to progress from novice to RYA Yachtmaster Ocean. We also run powerboat courses from RYA Level 2 which is an entry level course right up to RYA advanced and own boat tuition. Additional training modules designed by the club to supplement the RYA scheme are also available. Club cruises are ideal for members looking to have a relaxing two day cruise around the Solent to a more challenging cross channel passage to foreign shores. They also provide wonderful opportunities to involve family or friends as well as meeting other club members and visit places of interest. All cruises are skippered by a MCA / RYA commercially endorsed skipper and where required a first mate. Membership costs just £4.50 per month for serving and retired MPS officers and staff as Full Members and £6.50 per month for all other categories of Associate Membership. Please go to the Join Now page for full details and membership application forms. All Members are entitled to substantial discount on a range of clothing from Musto as well as access to other high quality makes endorsed with the MPSC club logo. This is our base of operations and is located at Mercury Yacht Harbour on the River Hamble near Southampton. The centre includes a club house/crew room, a fully equipped classroom for teaching shore based courses, secure storage for equipment, some workshop facilities and member dinghy storage within a secure fenced compound. Mercury Yacht Harbour is in Satchell Lane, Hamble which is easily accessible from Junction 8 of the M27. The marina has a Bar/Restaurant, a Chandlers, excellent showers and laundry facilities and close by is a 24 hour Tesco ideal for the purchase of supplies for your sailing trip. Hamble Village also has excellent Pubs and Restaurants. For many years the MPSC operated successfully as a members club but in a climate where there is a growing tendency towards litigation, the decision was taken to become a company limited by guarantee. By doing so we reduce the liability of the members and the committee to a maximum of £1. All that changed was the framework in which we operated – we are still a members club which operates wholly for the benefit of those members and their guests. The postcode for your Sat Nav is SO31 4HQ. From the M3 take the M27 Eastbound for Portsmouth. Exit Junction 8 of the M27 for Southampton East/Hamble. Follow signs for Hamble on B3397, Hamble Lane, going straight across three roundabouts. After the third roundabout, turn left into Satchell Lane (signposted to Mercury Yacht Harbour). Follow the road for approximately 1 mile. Mercury Yacht Harbour is on the left. There is a main line station at Southampton Central, from where a local service operates to Hamble station. From Hamble rail station a local bus service operates to Hamble village. After alighting from the bus at Hamble village, proceed along Satchell Lane, the entrance to the marina is approximately 1 mile along on the right. Use the National Rail Enquiries website to plan your journey. James’s leads the committee meetings and responsibility is to the organisation and management of the entire club. Helen has the important role of paying the bills, satisfying the accountants and most importantly keeping us solvent. Rear Commodore Training has overall responsibility for all aspects of training within the club. They work closely alongside the Club Principal to implement the RYA training scheme. 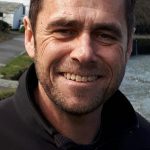 Gareth responsibility is the communication strategy to keep our members updated, along with managing our website. Rick has the important task of management of our yachts, both current and future. 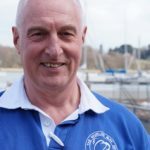 Martyn’s responsibility covers a wide range, including intro to sailing days, social events, intranet site development & members feedback. These are the club members employed by the MPSC who you’ll most likely see around the Broadway base, maintaining yachts or greeting you on your charters, cruises and courses. They are also all members of the Operation Team that maintains the yachts and they’re there to help you. John has worked with the club for many years and alongside Lee runs the day to day management of the club. Carol is a YMI and club Principal. 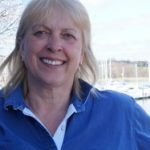 She is employed by the club and ensures we maintain the standard required by the RYA for teaching RYA courses. She is also responsible for recruitment of skippers and instructors for our wide range of cruises and courses. Ross heads our operations team and is responsible for the mammoth task of maintaining our yachts and Broadway base. Lee is our newest team member and a valuable addition to the club. 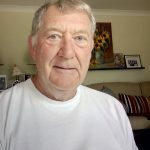 He works closely with John Bailey, managing the day to day running of the club, taking bookings and staffing the clubline. Copyright 2018 © Metropolitan Police Sailing Club. Having a medical condition need not necessarily prevent you from taking a full part in the course but the Club Principal must be aware of any potential problems. If you are in any doubt about your fitness to take part in a course, speak to us on the clubline prior to your course. I hereby declare that I have recorded below details of any medical condition which may affect my fitness to participate in the course and in particular I have included details where I suffer from asthma/bronchitis, angina or heart condition, fits, fainting or blackouts, severe headaches, diabetes, travel sickness, allergies to medication or other allergies. I undertake to inform the Metropolitan Police Sailing Club Ltd and the course instructor of any relevant medical condition which may become apparent between now and the start of the course, and of any medication I am taking. I have included below details of any dietary requirements and any allergies, including allergies to food and medication.